Forest green lampwork glass bead set made by Laffing Gull beads. 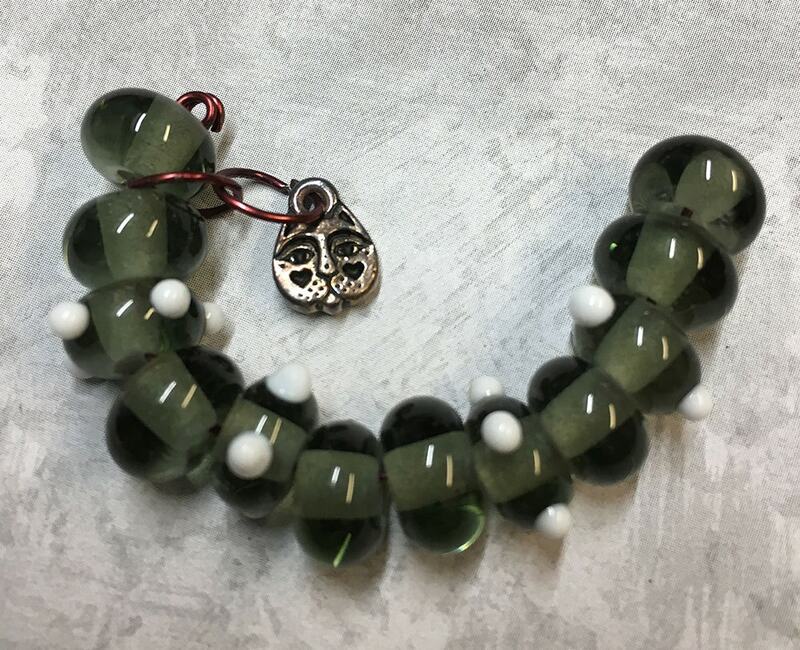 These beads are in a set of 12 beads, all in a transparent dark green color. Size of beads is about 10mm x6mm. You will receive 8 transparent green beads and 4 transparent green with white raised dots. You'll also receive a bonus double sided cat face charm!